Tropical Depression 04F and Tropical Disturbance 05F are expected to merge. The Fiji Meteorological Services says TD05F is currently located in the vicinity of Rotuma and TD04F is currently located further northwest of Rotuma. Acting Director Viliame Vereivalu says TD04F is predicted to be located very close to Rotuma tomorrow night and expected to move into Fiji waters on Friday night – cross over Vanua Levu between Saturday and Sunday night. 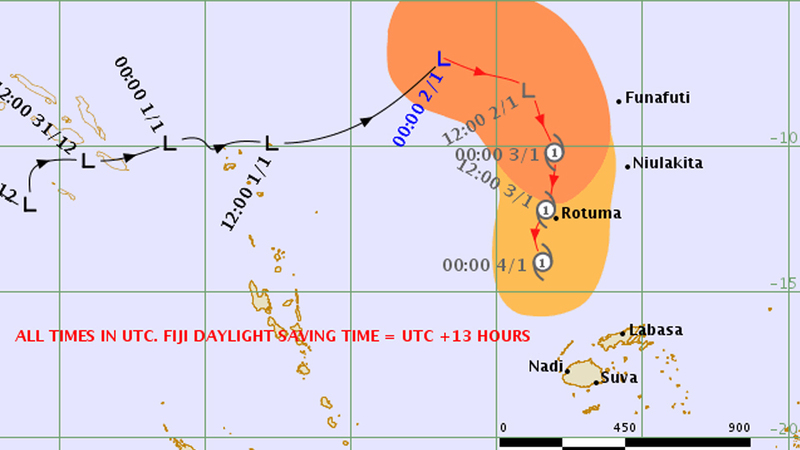 As the system tracks over Rotuma, it’s expected to remain slow moving and intensifying. 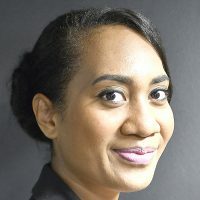 Vereivalu says there’s a risk of flash flooding in low-lying and flood-prone areas. Also, Tropical Depression 03F was located about 65km north-northeast of Vanuabalavu and 150km east-southeast of Udu Point at 7am today. TD03F is moving southeast at about 32km/hr away from Fiji. For northern Lau Waters, mariners can expect southeast winds 25 to 30 knots, gusting to 45 knots with very rough seas. For the rest of Fiji Waters, expect southeast winds 20 to 25 knots with rough seas. A Strong Wind Warning is now in force for land areas of northern Lau Group. The Gale Warning previously in force for northern Lau Group is cancelled. The Strong Wind Warning previously in force for land areas eastern Vanua Levu, Taveuni and nearby smaller islands and Lomaiviti Group is cancelled. Therefore, all communities living in the flood prone and landslide areas are requested to remain alert and take precautions when necessary.